Courtney Ropp obtained her Master of Science degree from the University of Waterloo’s School of Public Health and Health Systems. She specialized in epidemiological methods in aging research, specifically examining the relationships between stroke and dementia. Since starting in 2012, her role has been to consult and support the planning, coordination, implementation, and completion of evaluation and research projects. She works directly with Homewood clinicians and staff, as well as with external research scientists. 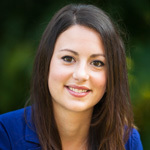 Courtney is a member of the Canadian Evaluation Society and sits on the Homewood Health Centre and Guelph General Hospital Research Ethics Boards.